Wow. Just wow. 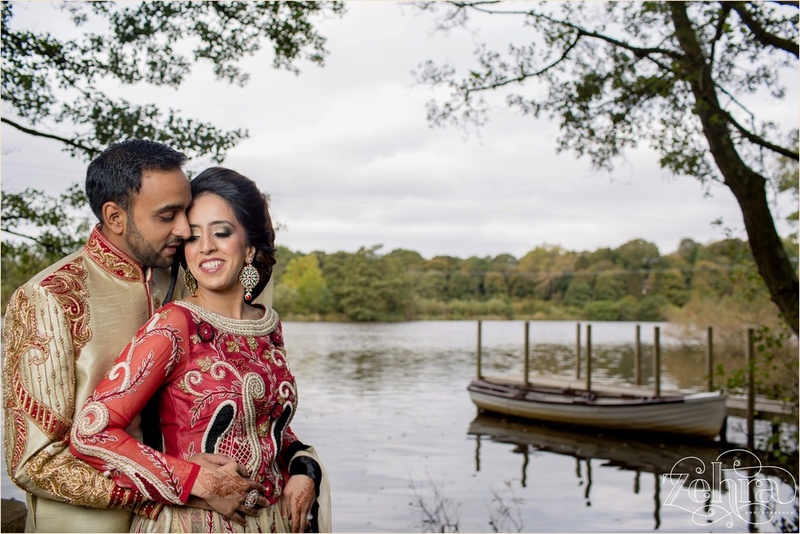 Surraya and Shahid awoke to the most spectacular view- an exclusive and private lake surrounded by woodlands in their cosy cabin in North Lancashire. I couldn’t believe how peaceful it was here, the sound of birds, and the gush of the nearby stream made this the perfect setting for their bridal portraits. 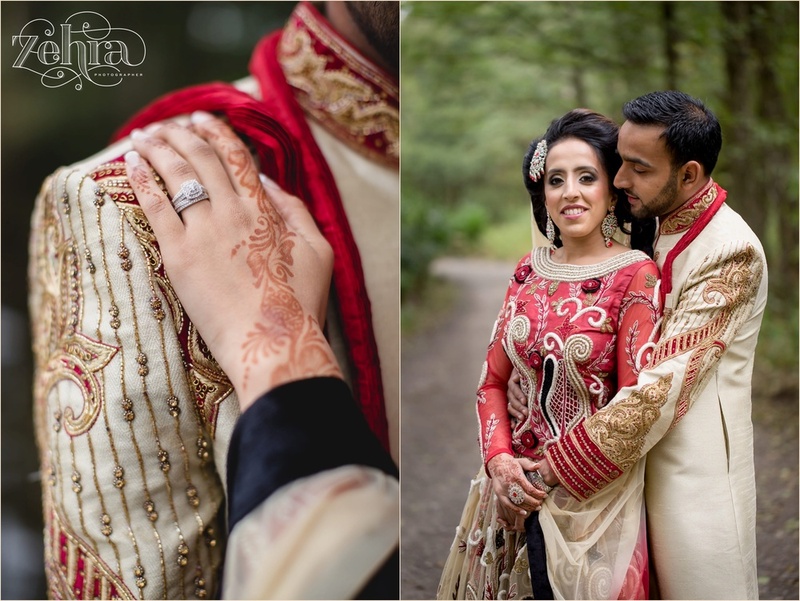 As I was taking portraits of Shahid in his Indian attire, he started to walk over towards Surraya singing “Lal Dupatta” (Red Veil), from a famous Bollywood Film, making her laugh. 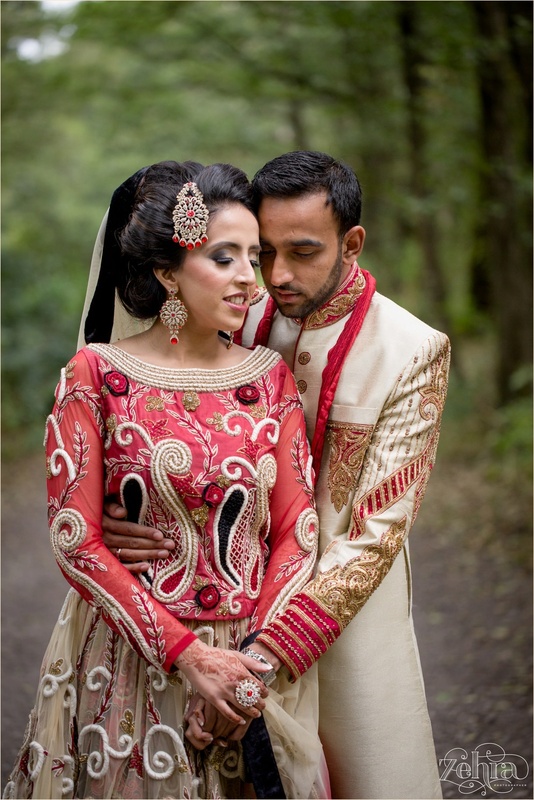 I just love when Grooms make their Brides smile. 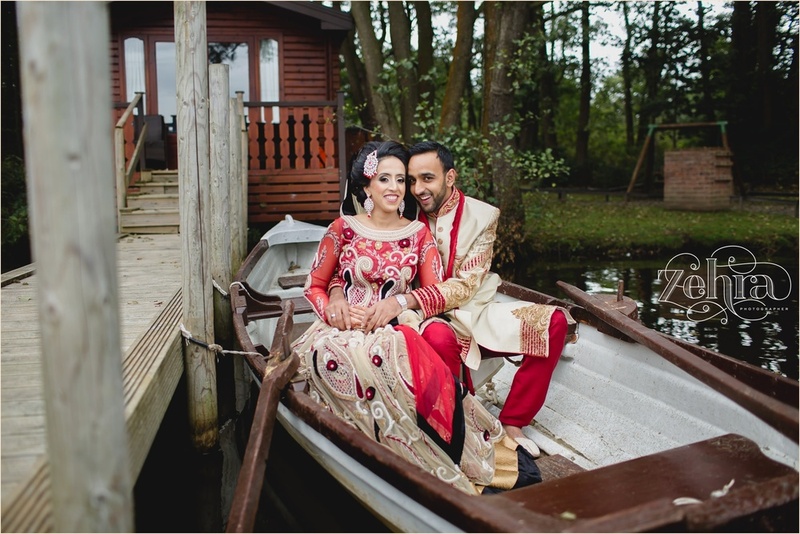 As soon as I had seen the boat on the jetty of their cabin as I had arrived that morning I just knew we had to use it, but she said “hell no Zehra, I am not getting on that boat, my outfit is so heavy I’ll sink! !” (haha..little did she know..!) 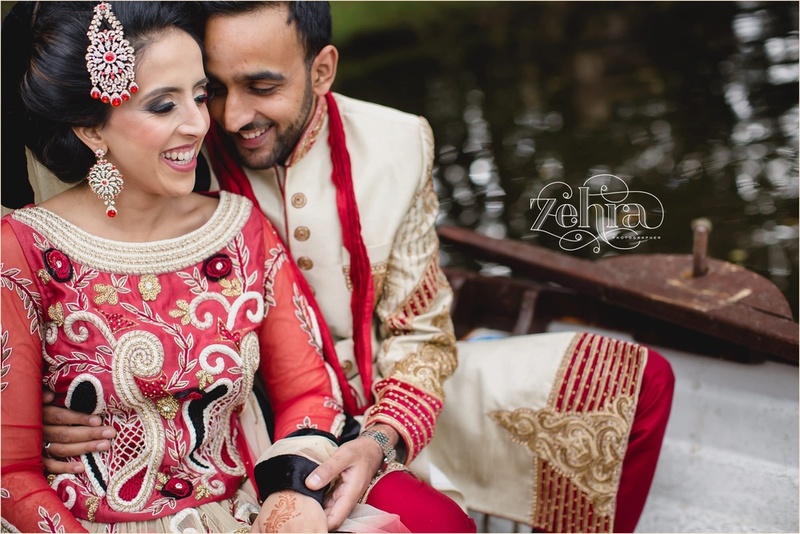 So with Shahid’s help we persuaded her to jump on board and voila, they got a beautiful intimate set of images. I hope you love the images as much as I did taking them…albeit leaning off the jetty just skimming the water! !